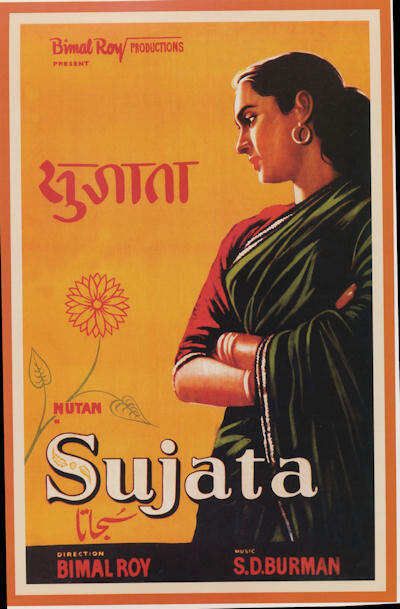 Bimal Roy’s 1959 Sujata is both a romance and a condemnation of the caste system, questioning what makes a family, and how we judge a person. 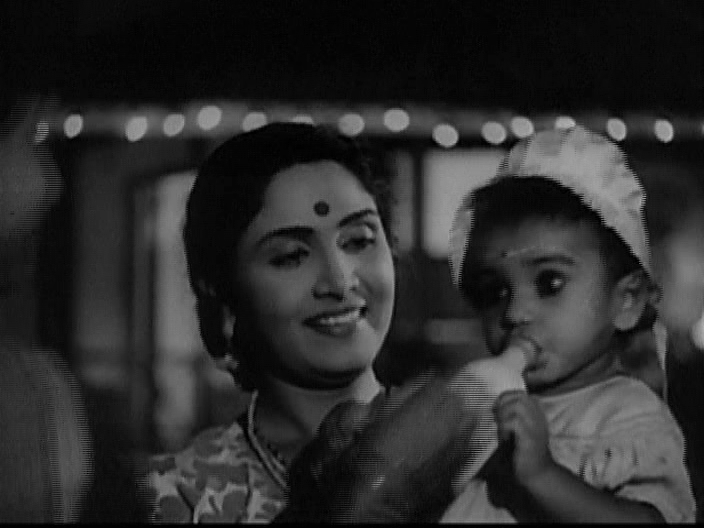 Nutan and Sunil Dutt star, supported by Sulochana Latkar, Tarun Bose, Shashikala, and Lalita Pawar. An orphaned baby girl is adopted by, or rather given to, a Brahmin couple on the same day as their baby daughter Rama’s first birthday party. The contrast could not be more marked. Rama is pampered and given the finest that her parents can afford while the baby is put in the maid’s room. 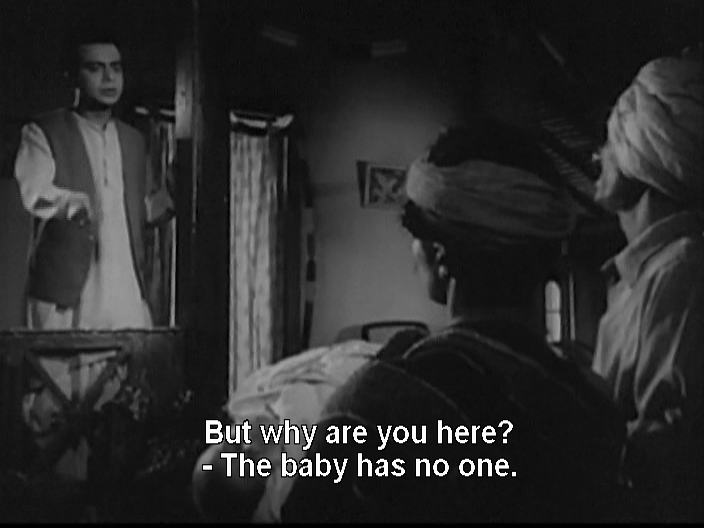 The father, Upen (Tarun Bose), names the baby Sujata, a high caste name for an untouchable child. Charu (Sulochana) and Upen have their own struggles as caste rules clash with their growing affection for the little girl. They keep talking about sending her away to someone in her own community, and yet it never happens. Lalita Pawar as their Aunt Giridala is completely against keeping an untouchable in the household and demands they get rid of her. Upen and Charu relocate several times for his work, so are able to avoid the hard conversations for a while. Even so, Charu is ambivalent and often pushes Sujata away, never letting her forget that she is adopted. One day, she tells Sujata the truth – not only is she adopted, she is an untouchable. 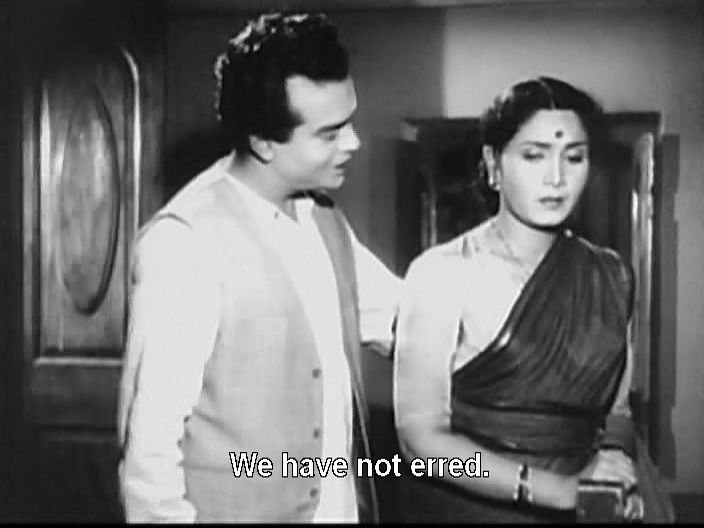 Predictably, Sujata is devastated. While the caste issue is a focus, it is not what resonated most strongly with me. Perhaps it is that caste seems like such a backward social division to me. Sujata’s relationship with her adoptive family was fascinating. Regardless of the reasons for the emotional distance apparent at times, it had a strong effect on the young girl. Rama was educated and given pretty new things, had a big birthday party every year and was raised in an atmosphere of love and privilege. Sujata had to fight to learn to read and had no known birthday to celebrate, filling the role of housekeeper to be useful and a good daughter. Sujata yearns for her parents to love her but she is all too aware that she is not ‘good enough’. Sulochana is very good at showing the conflict Charu feels between doing what her Aunt says and following her instincts. 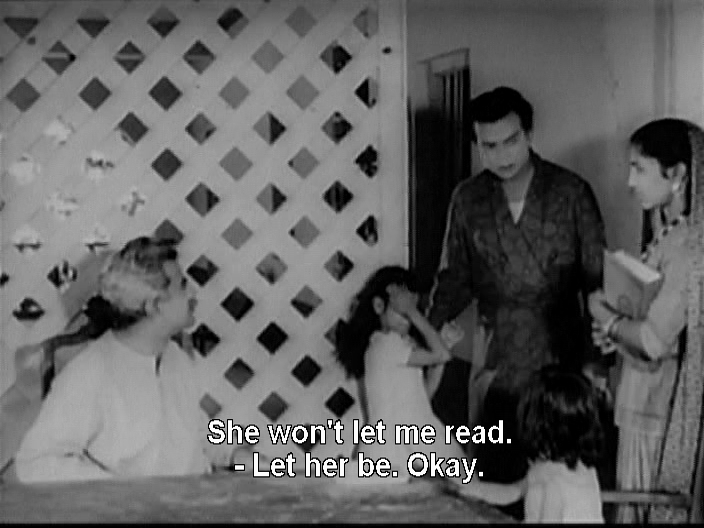 Upen simply ignores any restrictions he doesn’t like, and little Sujata idolises him. Tarun Bose’s characterisation is sweet but Upen is a little weak or ineffectual when it counts. It tugged at my heart just a bit to see Sujata being kept at a distance and not understanding why. My parents gave short shrift to anyone who questioned whether I was really part of the family (yes, I had relatives who voiced reservations about adopting children). Mum made it very clear I was theirs and anyone who said different was wrong. I can’t imagine growing up without that fierce maternal love as my foundation. Meanwhile Sujata and Rama have grown up as sisters, fighting, squabbling and playing together. 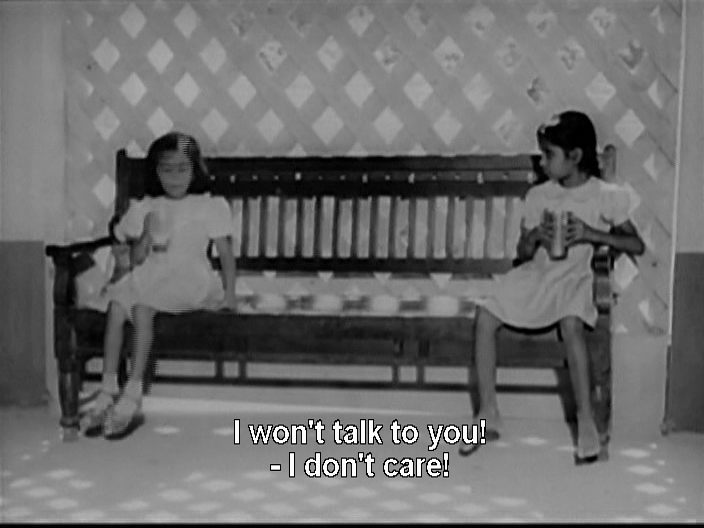 The little girls are played by Baby Farida as Rama and Baby Shobha as Sujata. Baby Shobha is excellent as the fiery little girl who adores her parents and can’t stand the idea of being separated from them. She keeps asking why she isn’t allowed to learn, why Charu won’t feed her with her own hands. It’s sad. 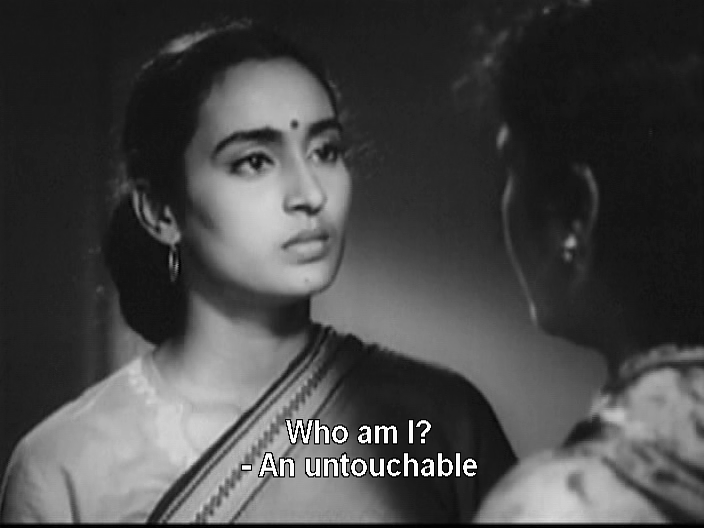 As Sujata grows up, now played by the radiant Nutan, a further complication emerges as she threatens to outshine Rama. 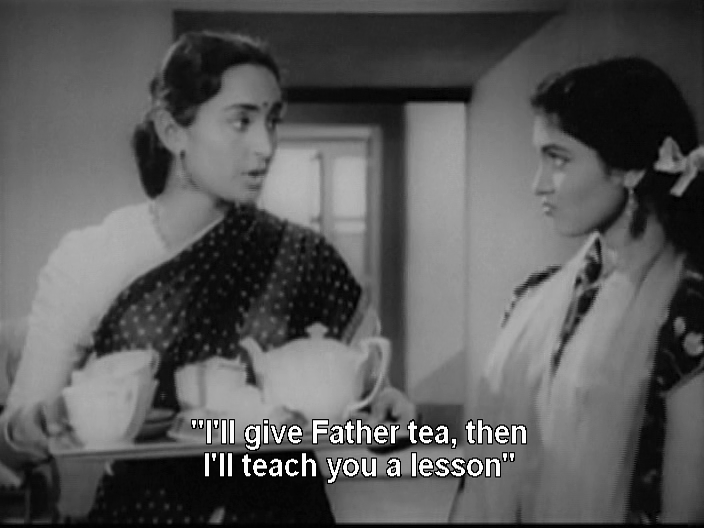 Aunt Giridala keeps getting in Charu’s ear about how she needs to get rid of Sujata. 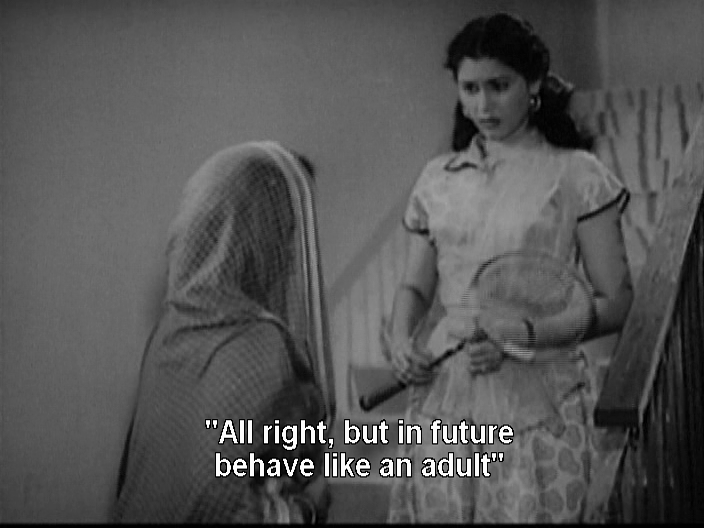 Grown up Rama (Shashikala) has modern attitudes and doesn’t care about Sujata’s origins. Rama sees all the good qualities in her big sister and includes her in all family events. Rama seems to be blind to the gulf between Sujata and the rest of the family and I’m not sure whether that was naiveté or determination to ignore the discrimination. She knows her aunt wants her to marry Adhir (Sunil Dutt) but she sees he is interested in Sujata and gives their love room to develop. Shashikala is bubbly and fun, and makes Rama very likeable. 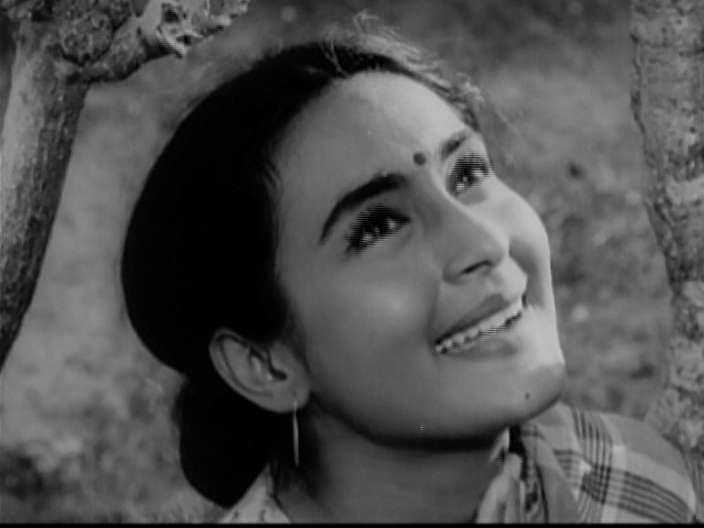 Nutan is just lovely. 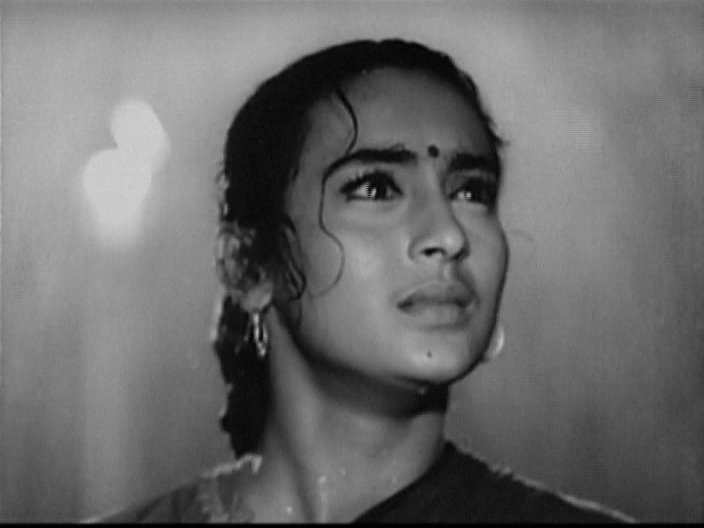 Because Sujata is often on the fringe of scenes, she has little dialogue and Nutan uses her beautifully expressive face and posture to show her feelings. The thing Sujata wants to hear 1000 times is not Adhir saying “I love you” but Upen and Charu declaring “you are our daughter”. But having Adhir express a love that is just for her must have been amazing and intoxicating after craving acknowledgement and affection for so long. When he touches her, she shudders not in affront or with desire but with the sheer shock of being touched by another person. She does spend a huge amount of time crying, but her sadness is evident and I’d cry too if I had felt that my parents really didn’t love me and I didn’t belong. 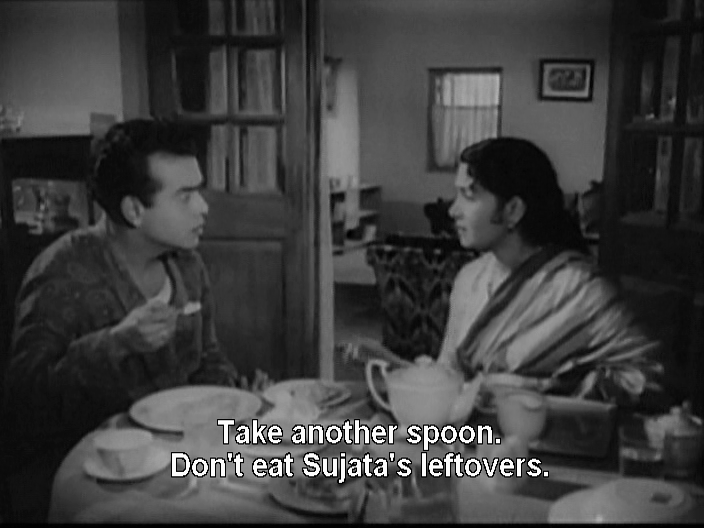 Sujata doesn’t expect anyone to fix things for her. She has some crises and chooses her next steps even as she knows her loyalty may not be rewarded. 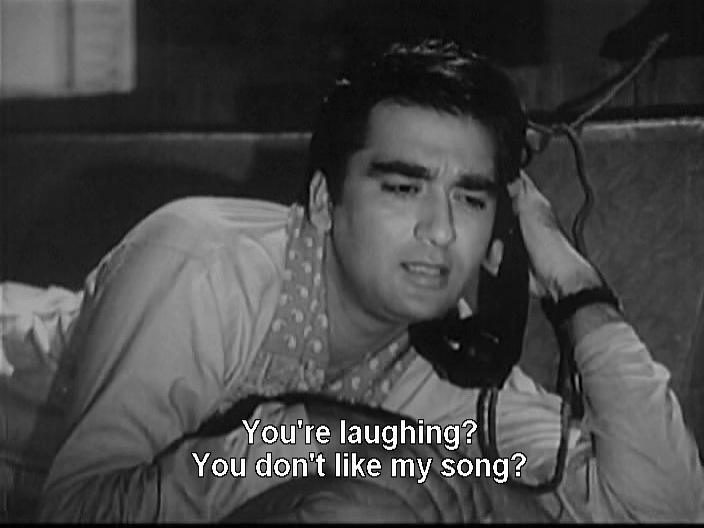 Sunil Dutt is perfect as the charming and well bred Adhir, his clean cut good looks suited to the romantic ideal. His feelings develop slowly and he is deliberate yet not pushy. Adhir respects Sujata’s reticence although he doesn’t understand why she resists. Once he discovers her origins, he is clear that it makes no difference to him. 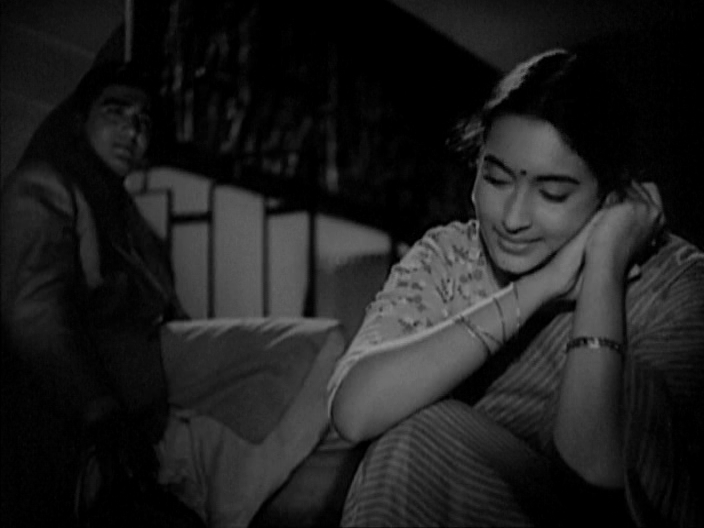 The scenes between Sunil and Nutan have a delicate and intimate feeling, and they seem to act with each other rather than for the camera. Adhir woos her over the phone in the lovely Jalte Hain Jiske Liye, trying to reassure Sujata that they can be together. I can see why she would be smitten! S.D Burman’s music is used sparingly and the songs are tailored to the characters. Rama’s songs are jaunty upbeat Western infused, while Sujata tends towards the more lyrical. Often there is no background music or sound at all, sometimes just the sounds of birds or rain. Adding to that understated use of sound, emotions are mirrored in simple visual devices. When Sujata is overwhelmed, she switches off the light so she can hide herself in the shadows. When love strikes, Bimal Roy shows rain, leaves blowing in a gust – maybe showing that emotions are natural and not subject to man made rules. There are some charming visual effects when the child Sujata is told that she is going to visit a magical land (an orphanage) but by and large the characters speak for themselves. I was moved by Sujata and found myself engrossed in the family drama. The resolution is so textbook filmi and yet profoundly satisfying as it destroys a few obstacles and hammers home the message. 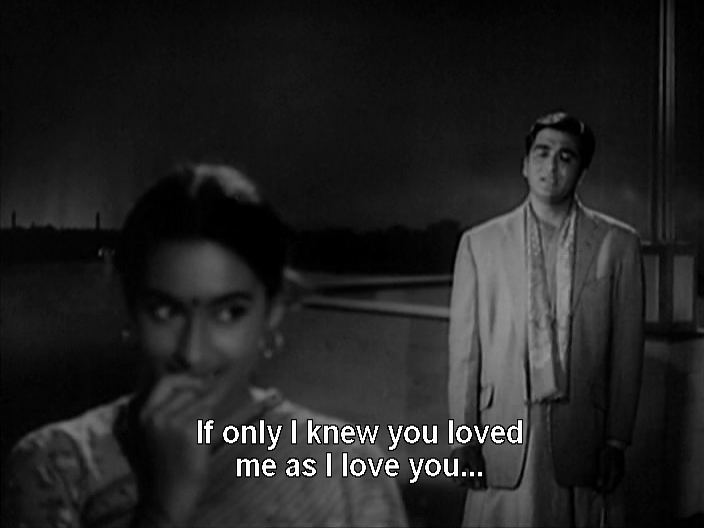 See it if you appreciate a melodrama with a social message and for the beautiful and restrained performance by Nutan. 4 ½ stars! This entry was posted in Bollywood and tagged Baby Farida, Baby Shobha, Bimal Roy, Bollywood, Hindi, Lalita Pawar, Nutan, SD Burman, Shashikala, Sujata, Sulochana, Sulochana Latkar, Sunil Dutt, Tarun Bose. Bookmark the permalink. Very nice review Temple! I have this film sitting on my shelf for sometime, I justn’t have had the time. I saw it many years ago and loved it – and not only because the protagonist is my namesake 🙂 -but it is so artistic and Nutan so very lovely but mostly because I love the music. I shall see it soon again, I am inspired by your review to move it up my to-see list! Hi Suja – The music in this film is just lovely! The songs suit the characters and the emotional tone so well. 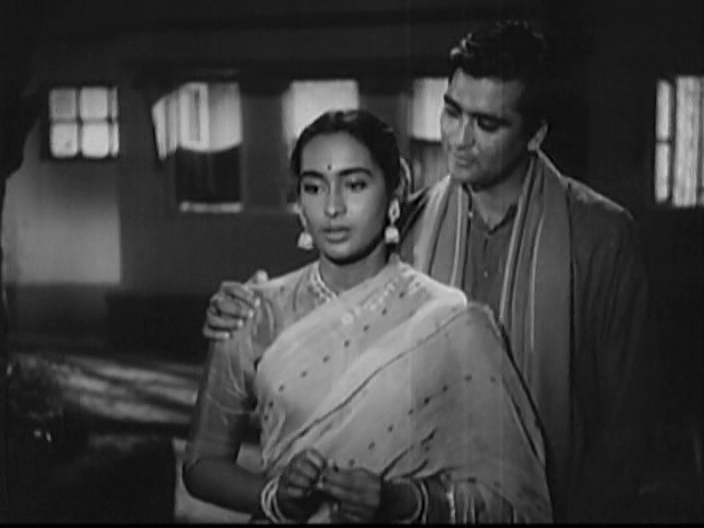 And of course now I shall think of you whenever I see Sujata (although you are firmly at the centre of your family so there is no similarity other than the name) 🙂 Nutan and Sunil Dutt made a nice on screen pair – they seemed to have a good rapport and made some interesting films together. I’m a bit more melodrama tolerant when there is a good cast and not too much silliness on display.